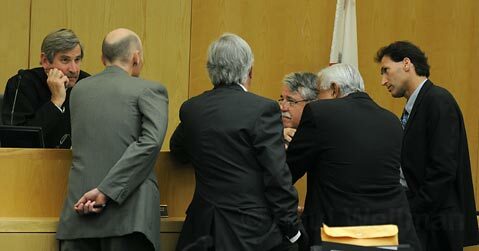 The prosecution’s case against the four people alleged to be responsible for the death of 16-year-old Lorenzo Carachure in July 2007 is beginning to wind down, which begs the question: Has prosecutor Hans Almgren proven his case? Jurors have heard testimony that the four defendants — Ruben Mize, Raul Diaz, Bryan Medinilla, and Ricardo Nava, all facing murder charges — traveled over to the Westside that night. They’ve listened to an audiotape on which Mize tells his cousin, who was working as a confidential informant, that he “stuck” Carachure in the neck, and they’ve heard statements from other people who talked to other defendants about their involvement. But they’ve also heard conflicting testimony. Some people on the stand said there were five Eastsiders, others said as many as eight. Varying testimony has described weapons such as knives, sticks, a corkscrew, and even a curling iron. Some witnesses claimed there were three people stabbing the victim, while some reported there were only one or two stabbing him in the neck. Some have said the Eastsiders attacked the Westsiders, some say both sides held their ground. The getaway vehicle was a pickup truck, according to some witnesses, while others said it was an SUV. 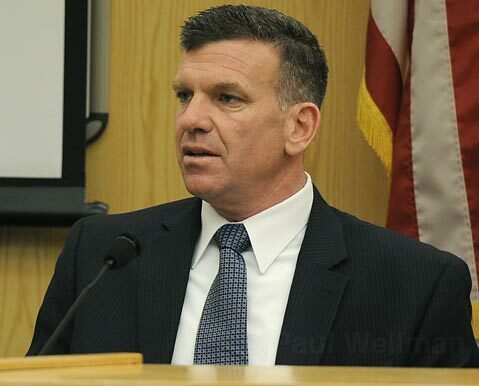 And, some of the key testimony is coming from witnesses who have worked out plea deals with Almgren in their own criminal cases, either related to this incident or otherwise. So it remains to be seen how these discrepancies play out among the 12 members of the jury. Certain inconsistencies are surely the result of a dark street, a series of events that unfolded quickly, and a three-year-old case. It will be up to the jury to decide what is the truth.